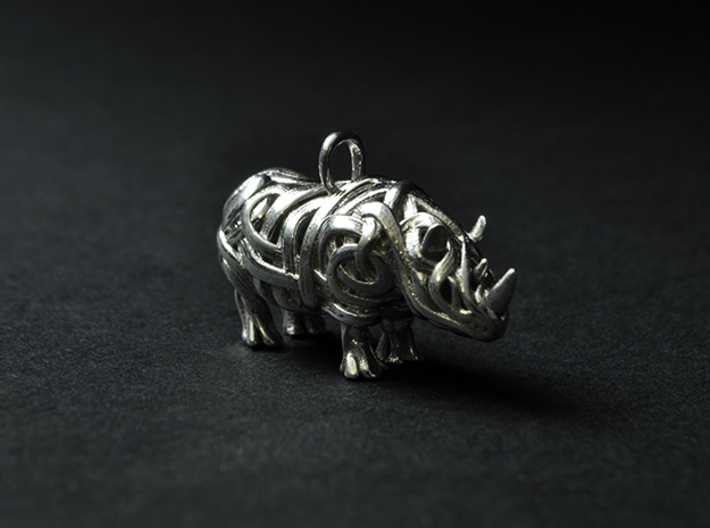 The underlying symbolic theme of the rhinoceros is made of paradoxes: "things are not as they seem". 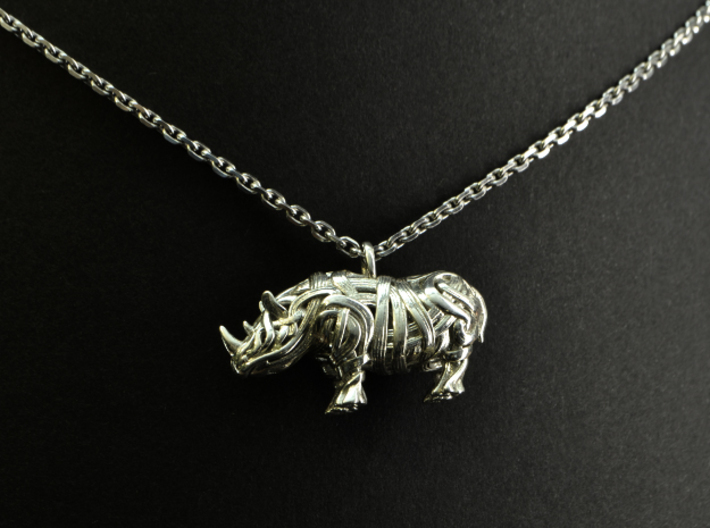 Although the rhino is known to display aggressive behavior, for the most part it is a passive creature - preferring to roam its wide-open grassy spaces in contemplative solitude. 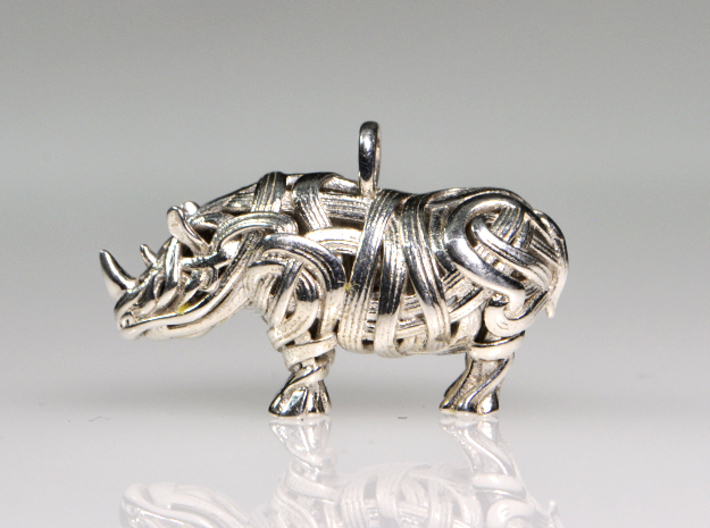 The rhino is a creature of substance, stamina and explosive power. 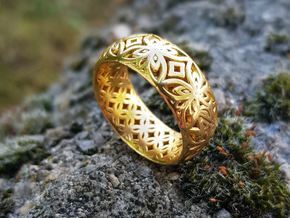 His intimate connection with the earth that makes it a symbol for confidence and steadiness. 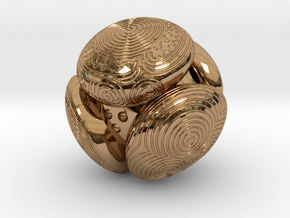 This design reflects both the massive-passive aspect of the animal and also his underlying internal energy and explosiveness through the flowing lines that makes this model. 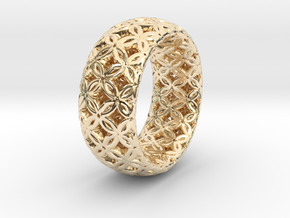 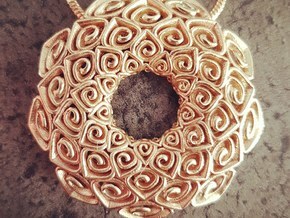 This design won the price for Best Jewelry model at the CG Trader Jewelry Contest in October 2014 ! 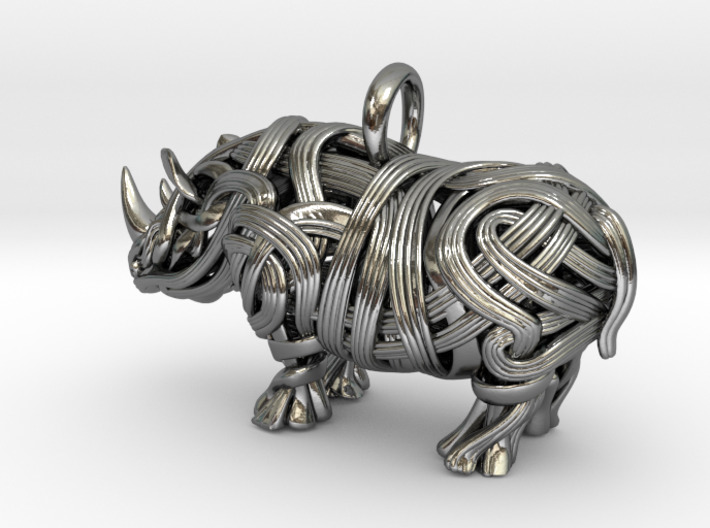 This design is available in three different version : a detailled head, one small entire Rhino model and a LARGER one.